Chokers have been getting lots of love and attention lately. But I’ve also heard some hate about them too and that the trend won’t last forever. But actually, this trend has lasted for kind of “forever.” Even though everyone is accrediting this choker phenomenon to the 90’s, this striking trend goes back much further. (Little did you know that you’d be getting a small lesson in history in today’s blog post.) This summer in France I took a course about French fashion from the 1800s to modern day. Widowed, French aristocratic women in the 19th century would wear a black velvet ribbon around their neck to signify that they would not be seeking another spouse. However, younger and newly married women were so taken with the elegance of the widow’s ribbon necklaces that they decided to rid the ribbon of its significance and wear them as a new fashion statement. All in all, of course the French invented chokers and this look is clearly something that has lasted for quite some time. Enjoy this look I put together that was inspired by a choker and a little bit of rock n’ roll. If you’re in the South, you know it’ll be hot until hmm November? 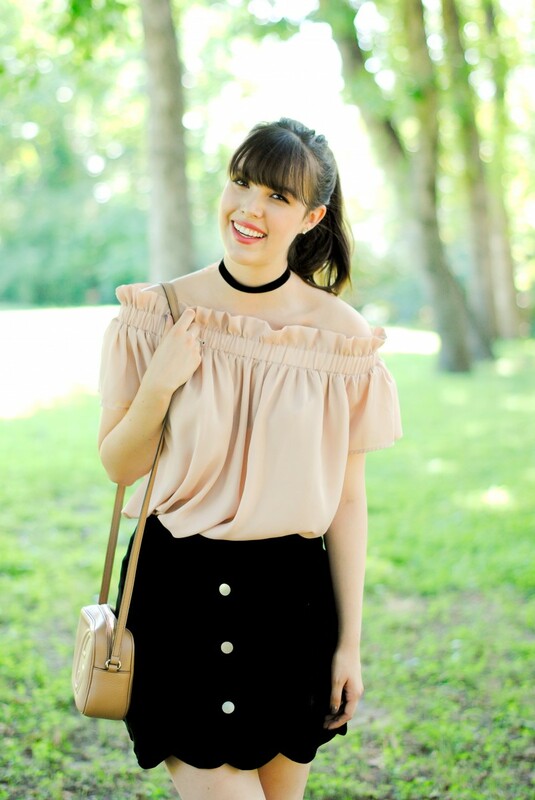 So this look is a great way to add in fall elements (suede, boots, velvet) while remaining cool (off shoulder top). 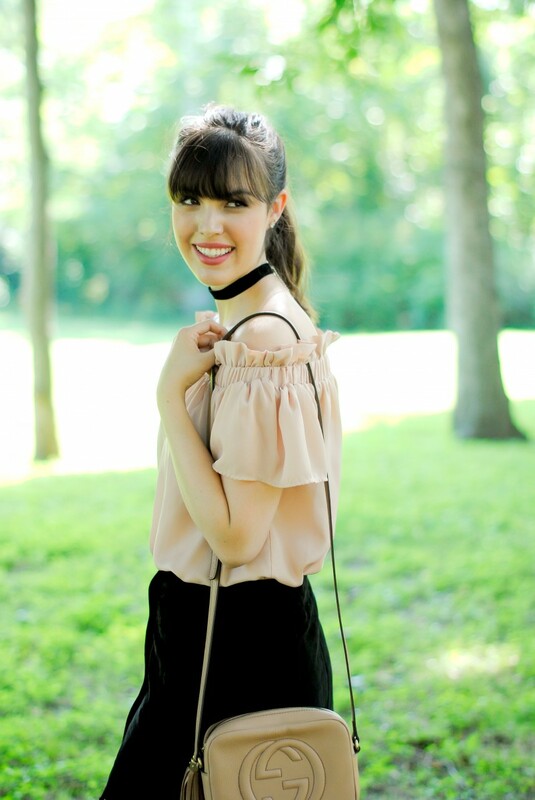 More outfit details at the end of the post with some good designer dupes!